They say money changes people, but it’s not changing this man’s fine taste in cars. 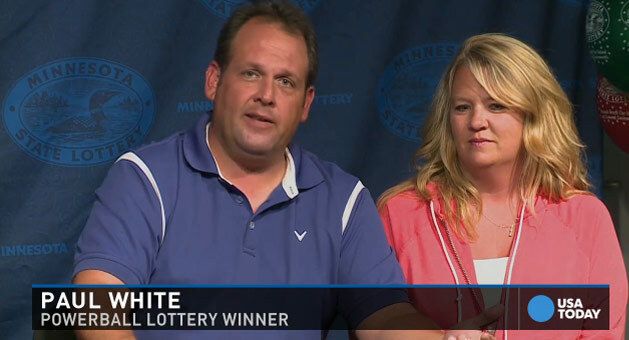 Paul White of Ham Lake, Minnesota has recently won an $86 million dollar share of the Powerball jackpot and he says a first generation Acura NSX is still at the top of his wish list. “There’s this one on Craigslist I’ve been watching for a few months. And I think it’s thirty grand and it’s got like twelve thousand miles on it or something. It’s a 91 or a 92 or something like that. I’m going out there. I’m going to buy that car and I’m driving it back. Very slowly.” said White. If Mr. White is looking to buy a brand new Acura NSX, he’ll have to wait another two years for the highly anticipated Sport Hybrid model. Until then, I’m sure a first generation NSX will do just fine as a daily driver. See White’s press interview in the clip below. Looking at the new one doesn’t stir your soul like the original does. I am sure it will be quick, but Acura has to get away from that beak looking frontend. With it too many people will confuse it for the Audi R8.